Red Bull X Fighters Sign: Big Job, Fast Deadline! 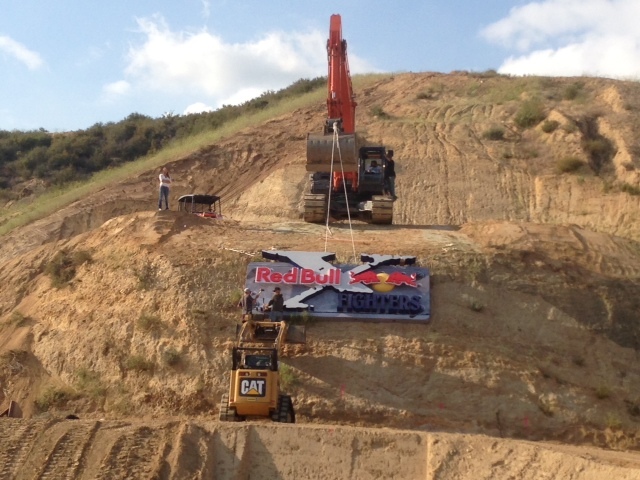 Art Sign Works owner Enrique Valenzuela sent over pictures of the massive Red Bull X Fighters sign he completed in just 2 weeks for the X Games. Built for the Red Bull X Fighters Course at the Glen Helen Raceway, which is the biggest FMX course ever built, this awesome sign is a monster 18″..